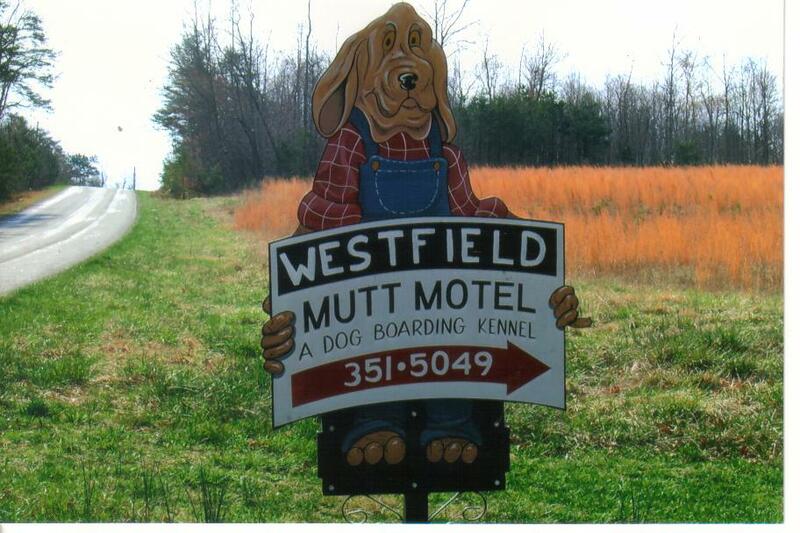 Surry County's Premier Dog Boarding facility is located just minutes from downtown Pilot Mountain. The owner, Les Hunter lives on the site and is a certified Veterinarian Assistant. A safe, secure, clean and friendly environment is provided your pet. 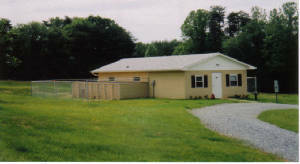 We are located at 170 Animal Farm Trail, Pilot Mountain,NC. 27053. Phone: 336-351-5049. We established our business in 2003, we have the largest runs in the county, each dog has a private run that measures 15' by 5'. Our facility is heated in the winter and cooled in the summer. 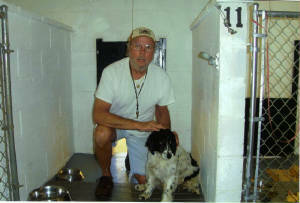 Each dog is taken outside to an enclosed area where they can relieve themselves and exercise three times a day. 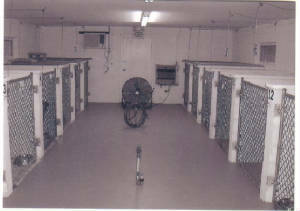 View of the interior, showing the concrete walls that seperate each dog. 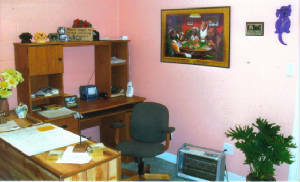 View of the reception/office area. 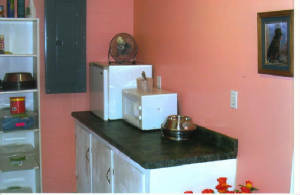 View of the kennel 'kitchen', it features a refrigerator and microwave. All feed bowls are sterilized after each use. 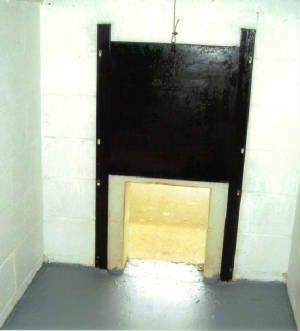 The entire kennel floor and the runs are sanitized daily. 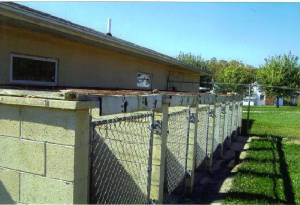 View of the kennel coming down the drive way. View of the Sliding door that seperates the inside of a run with the ouside of the run. .Rates: Up to 20lbs. $20.00 a night. Over 20lbs., $25.00 a night. Payment can be made in cash or check, we are unable to accept any credit cards. Cute dog sign by the road ( Brown Mtn. road) We are conveniently located just ten minutes from downtown Pilot Mountain. Take old Westfield Road, go out about seven miles, then turn right on Brown Mountain Road. Go 3/10th's of a mile to Animal Farm Trail, thats our driveway. 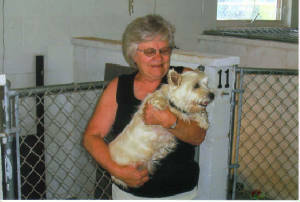 Peggy Jessup, Kennel Manager. She has a way with dogs and has been with the kennel many years. PS: We have Sunday pick-ups. We are proud members of the following organizations: Pilot Mountain Civic Club,Westfield Ruritan club and International Civitan club.